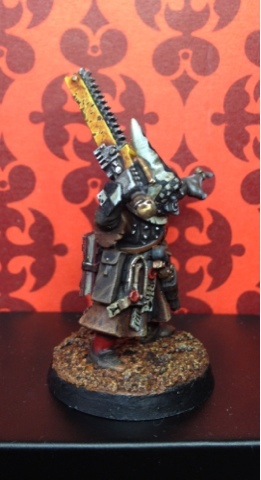 Finished up the mutie redemtionist: "Lugubrios". I was inspired by Sam Jacksons character Stephen in Django Unchained. He's a mutie with a fanatical faith in the imperial creed who has turned on his own kind and ruthlessly opresses his fellow deviants. 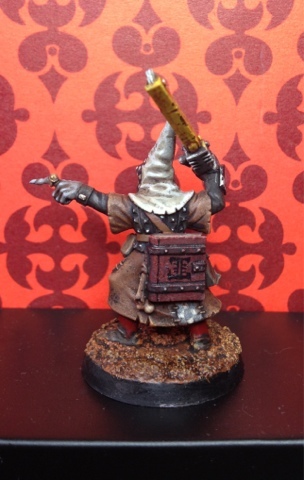 Once again a great miniature, love the color palette as always. Looks awesome. Love that background story too - always love me a good turncoat. Really great! One question, what kind of game do you play with these gangs. 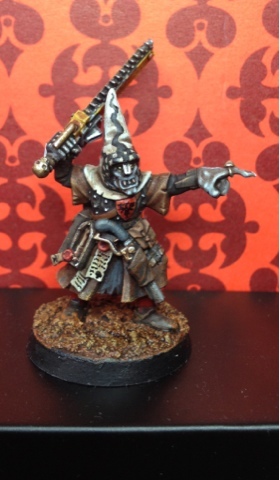 Kind of Necromunda? that's a great looking mini, very original, nice neat paint job. What a cool concept, and well done! Love your painting style a lot. Now, how about a group shot of the latest few guys together? Please? Working on that! I left most of my favourites in Nottingham this weekend though. But mote and better pictures are on their way!